It’s important to note that if you have a Medicare Supplement Plan (also called Medigap), you can change that at any time, within the guidelines of your supplement insurance carrier. Typically, they will send you an annual notice of any premium changes and will give you the opportunity to change at that time. Medicare Supplement plans are offered by private insurance companies and can cover health care costs not included in Original Medicare. They do not include prescription drug coverage but may offer a stand-alone prescription drug plan (Part D). Original Medicare consists of hospital insurance (Part A) and medical insurance (Part B). Part B provides coverage for medical services such as doctor visits, diagnostic tests, X-rays, blood transfusions, chemotherapy, dialysis, some preventive services and some vaccinations. Most people don’t pay a monthly premium for Part A, while most do pay a premium for Part B.
Medicare Advantage, also called Part C, provides coverage through private insurance companies approved by Medicare. These plans are required to provide coverage for everything that’s covered under Part A and Part B (Original Medicare), except hospice care. Some plans also include other benefits such as drug coverage, dental and vision care. With most Medicare Advantage plans, you still must pay your Part B premium in addition to any Part C premium. To qualify for enrollment in a Medicare Advantage plan you must be enrolled in both Medicare Part A and Part B and live within the service area of the desired Medicare Advantage plan. Note that people with end-stage renal disease generally do not qualify for Medicare Advantage plans. 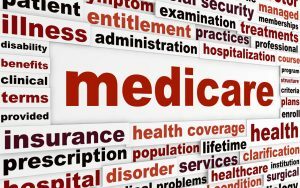 · If you’ve been on a Medicare Advantage plan for more than a year and switch back to Original Medicare, it may be more expensive to enroll in a Medicare Supplement plan as you are outside the “guaranteed issue” period for Medigap plans. 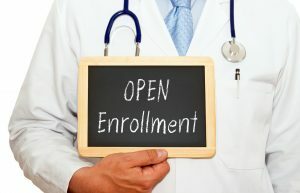 Starting in 2019, Medicare Advantage will have a new open enrollment period: from January 1 – March 31. So, you’ll have another opportunity to switch to the coverage that works for you. For more information about plans in your area visit Medicare.gov. Or call 1-800-MEDICARE (1-800-633-4227).